The Royal Ontario Museum, ROM, will start offering FREE admission with extended hours! However, this offer is available only on the 3rd Monday of each month only. 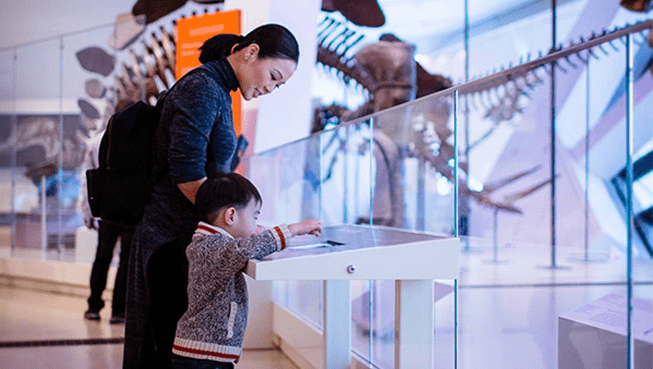 Bring family and friends to the ROM on the 3rd Monday Night of each month and enjoy FREE admission from 5:30 pm to 8:30 pm. With complimentary access and extended hours, visitors are invited to explore art, culture, and nature in the Museum’s 40 permanent galleries. Join the ROM on Monday, April 15, 2019 for an engaging evening celebrating the launch of 3rd Monday Nights! Click here for more information on Royal Ontario Museum.